If you've seen one full moon, have you seen them all? Astronomy Picture of the Day (APOD) published 12 consecutive images, November 2016 to October 2017. All of them are at the same scale. Moon size varies and the reasons are discussed. 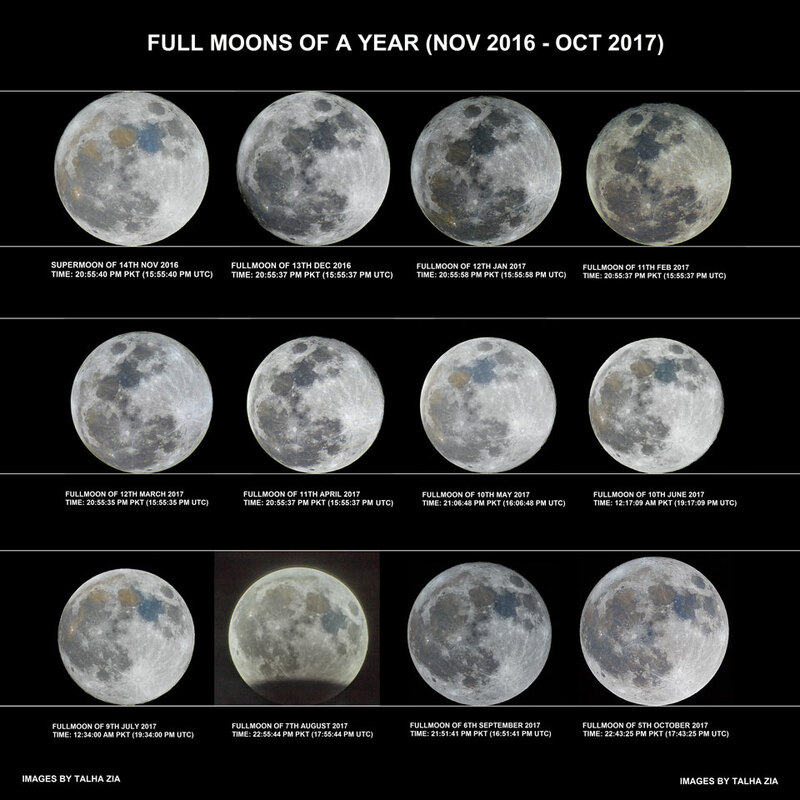 The caption includes a link to the famous illusion that the moon-when-closer-to-the-horizon-is-larger, a link to a short explanation of a libration which includes an explanation of this term, the slight wobble a moon shows in a month's time, and a link to a video of a complete lunar cycle (one month in length), a lunation. There is a bonus, too, a partial lunar eclipse (August 2017).